Astrology and astronomy may seem like very different fields today, but that was not always the case. Both sciences of the heavens, at one time they were closely tied together. In fact, the term "mathematicus" was often used to refer to someone who was very knowledgeable in astrology, astronomy and mathematics. Between the Classical Period (500-323 BC) and the Scientific Revolution (around 1543), astrology played a very important part of astronomical, mathematical, medical and psychological training. There were many well-known scientists who practiced or contributed to the science of astrology. Nicholas Copernicus, Tycho Brahe and Johannes Kepler all studied astrology as well as astronomy. Though there is no known documentation showing the that Greek astronomer Hipparchus wrote about astrology, he did discover the precession of the equinoxes during the 2nd century. This phenomenon is caused by the Earth shifting positions as it changes. In turn, it changes the placement of the celestial equator. This discovery played a key role in astrology. It was author and philosopher Pliny the Elder who, in his Natural History works, hinted that many authors thought Hipparchus was an important figure in astrology. Pliny himself said Hipparchus could never be sufficiently praised for all he had done to prove that man is related to the star and his soul a part of the heavens. Famed astronomer Nicolaus Copernicus studied liberal arts at the University of Cracow between 1491 and 1494. At this time, liberal arts studies included astronomy as well as astrology. While there, Copernicus lived briefly with Domenico Maria Novara da Ferrara, the chief astronomer. 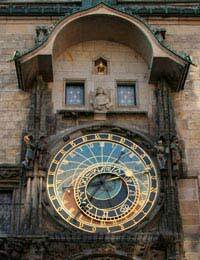 He was responsible for creating the yearly astrological prognostications for the city. It was more a horoscope that focused on both social groups and Italian princes. Copernicus's disciple Georg Joachim Rheticus said that Copernicus assisted Domenico Maria Novara da Ferrara with the yearly forecast, so one can assume he was familiar with astrology. Copernicus later studied medicine at the University of Padua in Italy in 1501. As was the custom in that day, those studying medicine also studied astrology. A Danish nobleman, Tycho Brahe was an astronomer, but he was also known as an astrologer and an alchemist. However, like many astronomers during his time, he believed that the heavens affected man, however, he was skeptical of charlatans who took advantage of people with their predictions. Tycho himself was interested in weather predictions and produced prognostications of a supernova in 1572 and a comet in 1577. Johannes Kepler was a German mathematician, astronomer, astrologer and writer. He was convinced that the configuration of the planets affected both the weather and man's personality. Kepler wrote horoscopes as a way to supplement his income. There are still around 800 horoscopes that Kepler made that are still in existence today. In fact, in 1595, Kepler wrote a horoscope that predicted a peasant uprising, a Turkish invasion and a cold spell, which all came true. When did the separation between astronomy and astrology happen? The two sciences separated with the emergence of the Scientific Revolution. As astronomy became a more commonly accepted science, astrology began being viewed as an occult science. The Eighteenth and Nineteenth centuries saw an even further separation between the two until they were eventually viewed as two separate fields.